Windows kill over 25 million birds a year. 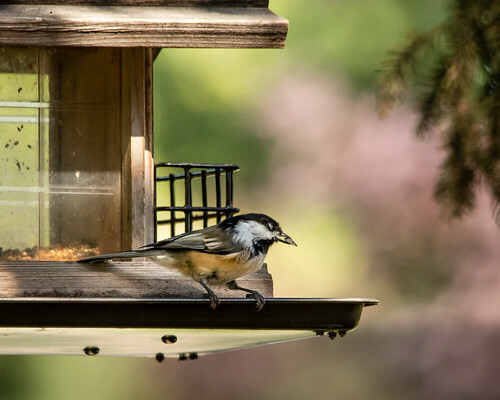 However, there are simple, effective steps that we as homeowners can take to help keep birds safe. Apply visual markers to the outside of windows to break up the surface so that birds don’t see spaces big enough to fly through. Markers should be no more than 10 cm (4 in) apart vertically or 5 cm (2 in) horizontally. For small birds such as hummingbirds the spaces should be no larger than 5 x 5 cm (2 x 2 in). Purchase patterned window films or screens (Wild Birds Unlimited in Saskatoon stocks a number of FLAP Canada approved products). Hang ribbons or string on the outside of your window 10 cm (4 in) apart. Draw patterns on the outside of your window with a bar of soap or highlighter pen. Install vertical blinds and keep them half open. Install sun shades or awnings to block the reflection of sunlight. Install window screens on the outside and not the inside of your windows. Don’t wash your windows – dirty windows create fewer reflections. 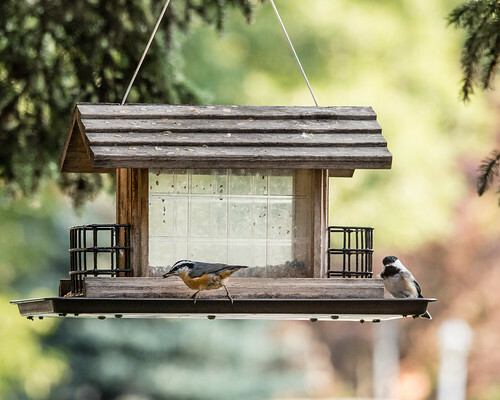 Position bird feeders or bird baths half a meter (1.5 ft) or less from your windows. This short distance will prevent birds from building up enough momentum to injure themselves should they hit the window. Move houseplants away from your windows or install window blinds. Birds go into shock when they hit a window and are unable to defend themselves from cats or other predators. Gently place the bird in an unwaxed paper bag or cardboard box firmly secured and place it in a quiet location away from people and pets. Do not give the bird food or water.